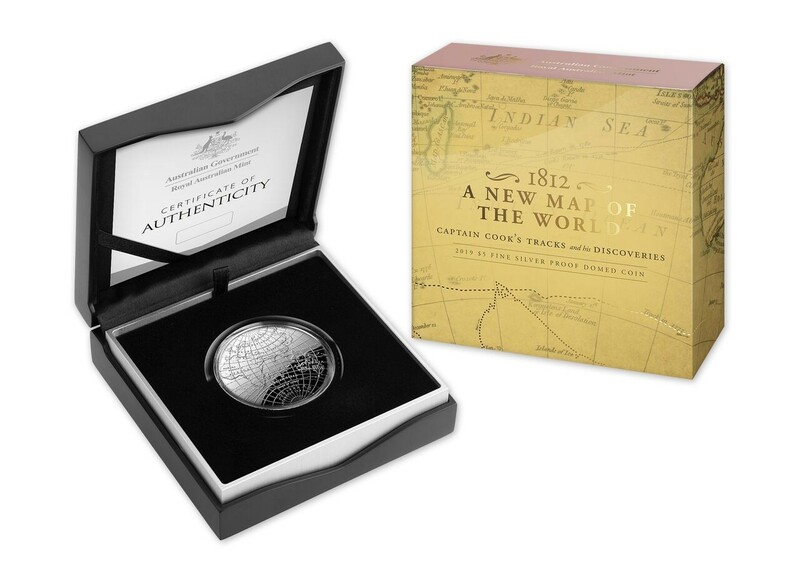 The Royal Australian Mint has released (3rd December) new silver Proof coins that focus and highlight one of world’s earliest navigational and most accurate maps that chartered the southern hemisphere’s coastlines and territory. The illustrated engraved masterpiece, entitled “A New Map of the World, with Captain Cook’s Tracks, His Discoveries and Those of the Other Circumnavigators,” was first published in February 1799, 20 years after the death of Captain Cook. The map was revised and reprinted again in 1812 and considered to be one of the most detailed and exact recordings of the newly claimed continent of Australia of its day. Captain Cook’s map of Australia records the territory on which he landed with his crew during their first expedition in 1770 when they were blown off-course onto the east coast of the continent after investigating Tasmania. Cook would claim what is today known as Botany Bay in Sydney and the whole eastern coast in the name of the British crown, which he named New South Wales on the 22nd August 1770. By 1786, it was established as a British penal colony and on the 26th January 1788, the first settlement was established at Sydney Cove. This date later became Australia’s national day and recognised as the establishment of what would later become the self-governing dominion of Australia on the 1st January 1901. The map was originally published in striking colour by the London-based cartographers Laurie & Whittle, that detailed the tracks of Captain James Cook’s three voyages, each in a different colour. The original map depicts the Australian continent with the reference it was known by as “New Holland” and also details the coastline of New Zealand, accurately depicted for the first time on a map. Australia’s southern coastline is shown nearly complete with Van Diemen’s Land, which refers to Tasmania. Surrounded by an architectural border with the hemispheres adorned by a pediment identifying the Old and New worlds, the exquisitely illustrated map is decorated by a drape-style title cartouche surrounded by flora, native costumes, and weaponry. The 1812 map also included astonishingly detailed information and depictions of other continents, coastlines, and even currents, enabling future explorers and merchants to open lucrative trade routes and better navigate their ships. The map included illustrations of the two hemispheres and detailed information about the two southern continents — South America and Australia — which was not previously seen. 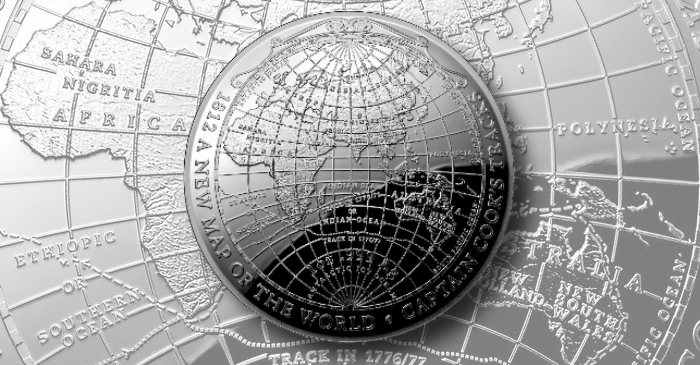 The 2019-dated coin is struck using a dome (or concave) shape in Proof quality and follows the Celestial Domed series — Southern and Northern Skies. The reverse side faithfully reproduces the 1812 version of Cook’s Map and replicates some of the intricately scrolled artwork shown on the original map. 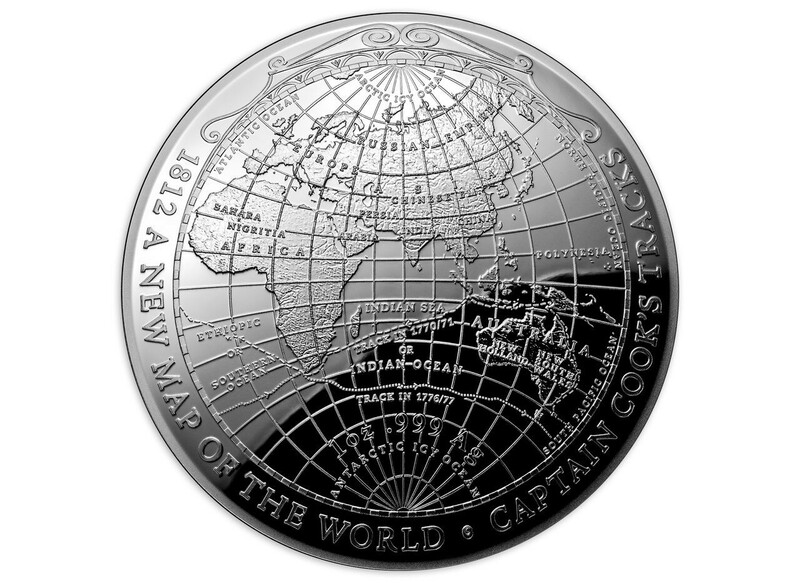 The text 1812 A NEW MAP OF THE WORLD – CAPTAIN JAMES COOK’S TRACKS is placed below the primary design and along the lower edge. 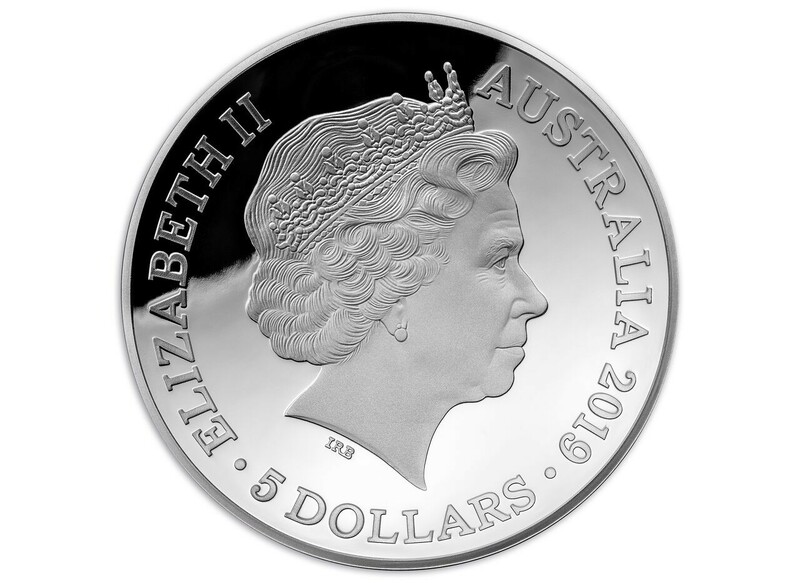 The obverse side includes an effigy of HM Queen Elizabeth II created by sculptor Ian Rank-Broadley and has been seen on all Australian circulation and most commemorative coins since 1999. The denomination of 5 DOLLARS is placed below the Queen’s likeness. The effigy of the Queen will change in 2019 when the Royal Australian Mint will adopt the effigy created by British Royal Mint engraver Jody Clark. This coin is strictly limited to one coin per customer/account. Orders found to exceed the set limit will be cancelled and refunded without notice. The coin is encapsulated and encased in a custom presentation box accompanied by a certificate of authenticity. For additional information about this coin and others offered by the Royal Australian Mint, please visit their website.